Microsoft continues to support users with iOS devices and has launched today in the App Store a new update for 'Xbox SmartGlass', a perfect complement to the 'gamers' who have an Xbox. With a design very similar to having the operating system Windows 8, 'Xbox SmartGlass' appears as the Xbox's best friend and if you have an Xbox Live Gold subscription. Surf the Internet with the option of using the keyboard and zoom iOS device. Play, pause, forward, rewind and pause the videos and music on Xbox 360. Manage your profile and send private messages. 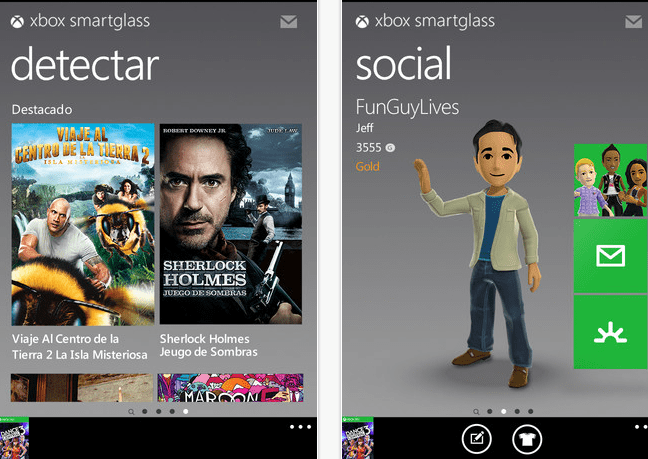 Xbox SmartGlass can find in the App Store for free. Article Xbox SmartGlass, the best friend of your Xbox was originally published in News iPhone .